Everyone needs to get it. My cousin introduced Kongregate to me years ago. I played 2 games almost daily there. Mud and Blood - A top down wave / defense type thing where you watch your AI cartoon soldiers shoot other AI soldiers. I like watching things .. not sure why. Watching bots shoot each other for example. And someone made a game out of it. Brilliant. The other was a zombie game. Know this about Kine. I hate ZOMBIE games. Me playing L4D2 is evidence of my love for this clan. Zombies are overdone in movies, graphic novels, tv... games. Frankly I've had enough *hearing* people talk about zombie games. Then I found this little gem of an indie game. Zombies sure. But it was a survival-strategy type ala Jagged Alliance that rarely ever gets made into games anymore. Ofcourse today these things are everywhere on Steam Early Access but back then it wasn't so common. You had to clear your surroundings during the day and fend off hordes of zombies at night. Methodically searching for supplies and managing your base and crew. Then an Xbox exclusive game called State of Decay got ported over to PC and Steam. I quickly brushed it off as yet-another-survivor-zombie-clone. Except later I learnt it wasn't. It's exactly like Rebuild but in 3D .. woot ! Bahaha, I love rebuild. One of the best kongregate games out there. The hardest difficulty is almost impossible without some cheese tactics. Never got into mud and blood though. That games looks decent. It isn't multiplayer though, which makes me hesitant to buy it. Buying it, thanks for the post. The date for the free download of PayDay:The Heist (PayDay 1) has been pushed up to October 16th (originally supposed to be the 18th). Starting at 10a.m. Pacific time, it will be available for free download for 24 hours. So... 20 mins from the time of this (my) post. Do you have to install it or just register it to your library? i.e. like how you have games registered to your library after you buy them but can install then whenever you want. Watch_Dogs 50% OFF today only. Is it worth it? I heard watch dogs was over-hyped and incredibly mediocre. rip off of TV show "Person of Interest"
Hmm.. Watch dogs.. a lot like Deus Ex 2 and GTA3/5. It's fun, but you need to be into that kind of games Ludens. Mr. Default wrote: rip off of TV show "Person of Interest"
Don't starve is 75% off (3.74). Amazingly addicting survival game (single player). 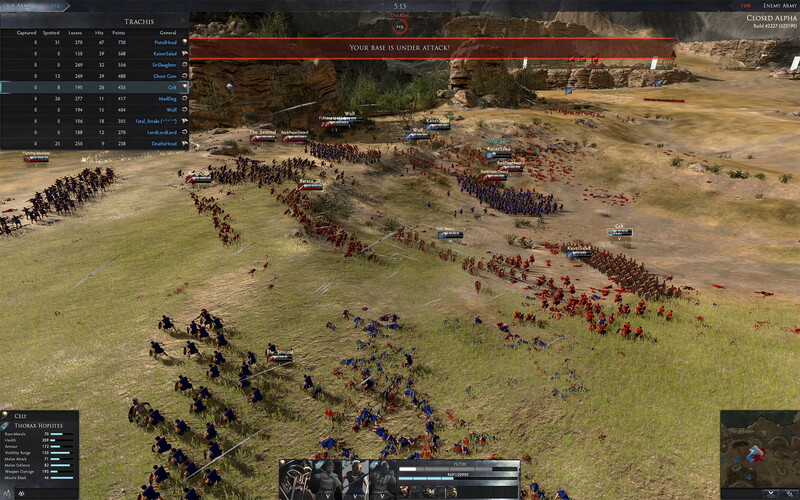 Total War: ARENA is a free-to-play, team-based strategy game, putting players in the middle of epic-scale battles. Using key elements of award-winning Total War design, it is made from the ground-up for multiplayer realtime strategy fans, with two teams of ten players going head-to-head.